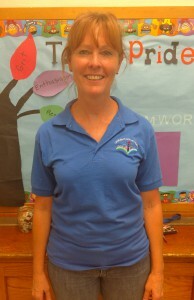 Hi, I'm Ms. Sharp, a first grade teacher at Garden Place. I've been teaching first grade for 11 years and love it! First grade is a learning and growing year filled with excitement. I look forward to growing academically and socially with the first grade families at Garden Place!